Hello, everyone and welcome to another Friday new product post. This week, we have two different versions of the the SparkFun Arduino Pro Mini Starter Kit (5V and 3.3V). We also have pre-orders open for the Sphero RVR and its Autonomous Robotics Kits, as well as the new NVIDIA Jetson Nano Developer Kit. As a reminder, the SparkFun Edge Development Board is available for pre-order – it's perfect if you are looking for an economical and easy way to get into the world of edge and machine learning. The entire board is powered by TensorFlow, so you know the type of capabilities the Edge is capable of! Now let's get to the new products! Start with a Pro Mini Today! What's blue, thin and comes with everything you need to get started? The Pro Mini Starter Kit! The Pro Mini is SparkFun's minimal approach to Arduino, running at 5V with a 16MHz bootloader or 3.3V with an 8MHz bootloader. The Arduino Pro Mini does not come with connectors populated, so you can solder in any connector or wire, in any orientation you need. The SparkFun Autonomous Kits for Sphero RVR provide an expansion set of sensors to the Sphero RVR platform. Based around Raspberry Pi’s small yet powerful Zero W model, the basic kit provides both global positioning and vision to the new robotics platform, while the advanced kit provides all the functionality of the basic kit with the addition of time-of-flight distance sensing. Of course you are going to need a Sphero RVR to get these kits to work! The Sphero RVR is the Go-Anywhere-Do-Anything Programmable Robot. 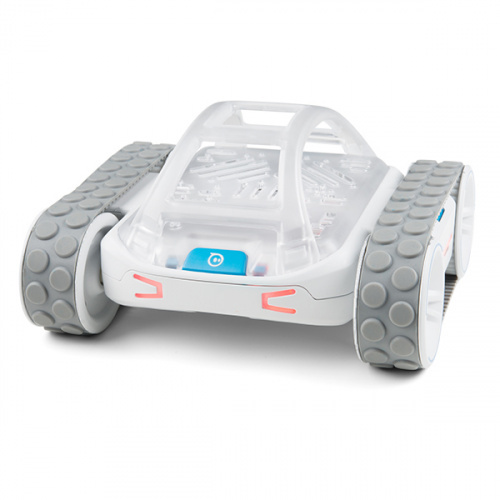 Fully capable out of the box yet able to be expanded upon easily, the RVR (pronounced rover) is a robotics platform perfect for learning all about robotics! With tank treads and powerful, durable motors, the RVR can travel over most surfaces with ease using a highly advanced control system. In addition, on-board sensors such as encoders, an IMU and a color sensor make building a more advanced robot incredibly easy. Cue theme music..."Meet NVIDIA Jetson!" The latest addition the Jetson family, the NVIDIA® Jetson Nano™ Developer Kit delivers the performance to run modern AI workloads. It boasts a small form factor, power-efficiency (consuming as little as 5 Watts) and low cost. Developers, learners and makers can run AI frameworks and models for applications like image classification, object detection, segmentation and speech processing. 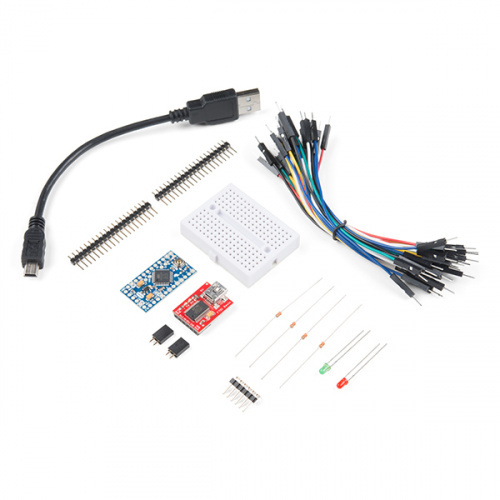 The developer kit can be powered by micro-USB and comes with extensive I/Os, ranging from GPIO to CSI. This makes it simple for developers to connect a diverse set of new sensors to enable a variety of AI applications. We at SparkFun see this as potential for yelling "Stop this crazy thing!" to your friends & family! Rotary encoders are used similarly to potentiometers, but they're different from potentiometers in that an encoder has full rotation without limits. They output gray code so you can tell how much and in which direction the encoder has been turned. This encoder is especially cool because it has a red/green LED built in, as well as a push-button. I would have ordered one of the Pro Mini Starter kits if it was available six months ago. Instead, I've had to wait to get the pieces, and having to 'look forward' to cutting up my own female header for the off-grid pins. The Pro Mini boards are great when the final design gets embedded into 'something'. (Regular Arduino boards are just too big.) So it's good to finally see this available. 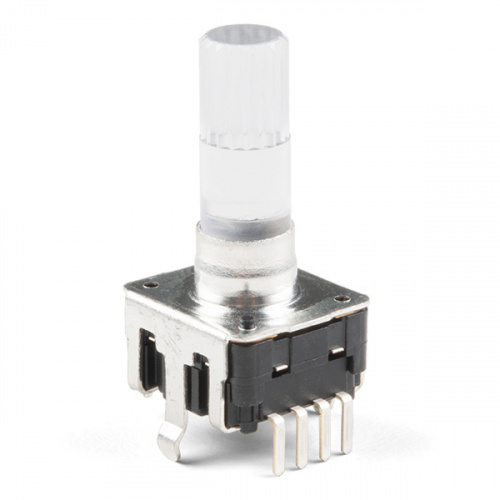 Given the fact that I already have several pro-Minis (both 5V and 3.3V) within reaching distance as I type, as well as all of the other components in the "starter kits", I'd like to see the two-pin female headers as a "stand-alone" item, though I suppose I could order something like this from DigiKey. BTW, I do know that I can cut longer female headers, but my experience is that I end up with rough edges as well as "lost pins" (and I think I do have some on hand).